An oriental fragrance that is guaranteed to get you noticed! Featuring notes such as - Orange Blossom, Spiced Cinnamon and Tonka Bean. Geza Schoen by Project Renegades is an absolute gem. Designed to be unconventional and proudly different, I can safely say it is exactly that! Designed to create a whole portrait of a tree, it features the notes of Pink Pepper, Lemon, Juniper, Moss, Incense and Sandalwood. An elegant and sharp fragrance which features notes such as - Bergamot, Artemisia, Coriander and Cumin. Best worn for daytime! A woody fragrance which features many notes such as - Lavender, Pink Pepper, Geranium, Suede and Ambery Woods! One of my personal favourites, a bold and sensual fragrance! Best worn on an evening. Purchase here for Mens and here for Womens! A unisex fragrance in which it has been created around one ingredient: Vetiveryle Acetate. Best worn throughout the daytime! A fragrance designed to evoke strength, tenderness, modernity and tradition. I find this can be worn throughout the daytime and has long lasting power! Have you smelt any of these featured in my Gift Guide? Has this Gift Guide inspired you in any way and introduced you to some new fragrances? What sort of fragrances do you like to wear? Let me know your thoughts as I would love to hear from you, and don't forget to click the 'like' button below! A staple gift for any Father figure in your life, is often considered to be a fragrance. With so many choices, and so many different scents, you could be forgiven for feeling slightly overwhelmed. However, with my help and guidance, I am hoping that these fragrances that I have chosen for this Gift Guide, will help put your mind at ease, and steer you into making the right decision for this Father's Day! Ralph Lauren's latest offering to the 'Polo Collection' comes in the form of Red Extreme. The fragrance begins with a sweet opening of the Blood Orange note that soon settles into a richer, denser take with the coffee note taking over. In terms of the longevity of Red Extreme, it lasted an impressive 6-7 hours upon my skin! I would recommend wearing Red Extreme on a nighttime, perfect for those cooler Summer evenings. You can purchase Polo: Red Extreme here. Gucci are absolutely my go-to brand right now. Anything that they create, I instantly want, and the Guilty fragrance is no exception. Inspired by the Creative Director; Alessandro Michele, the fragrance is a beautiful blend that is as equally citrusey as it is woody! The opening bursts with the Lemon note, instantly creating a fresh, vibrant feel which after a while, dries down into a spicy, more earthy fragrance. The longevity of Guilty lasted for up to 6 hours upon my skin, and I would recommend wearing this both during the Summer days and nights. Versatile enough to be worn for any occasion! You can purchase Guilty - Platinum Edition here. The opening of Horizon Extreme is a strong, powerful start that begins with a spicy yet fresh beginning. During the dry-down, the fragrance becomes more woody which comes with a rather a loud projection! Possibly the heaviest fragrance out of my choices for this Gift Guide, with the leather and woody notes blending together. Perhaps this may be better suited to wear towards the end of Summer with the cooler weather beginning to change. Horizon Extreme lasted for up to 7 hours upon my skin, and is available to purchase here. A sweet and fruity fragrance from Mont Blanc, that opens with the bold Pineapple note than quickly dries down into a cleaner, and spicy scent. Longevity of Legend was slightly disappointing, and only lasted for up to 4 hours upon my skin and the projection was light to medium. I would recommend wearing Legend throughout the day! You can purchase Mont Blanc - Legend here. Sophisticated, bold and classic. The opening begins with a refreshing citrusy feel that very quickly dries down into a woody, earthier type of scent. The Juniper and Siberian Pine notes blend perfectly together and add a real masculine touch! Pour Homme is available to purchase here. 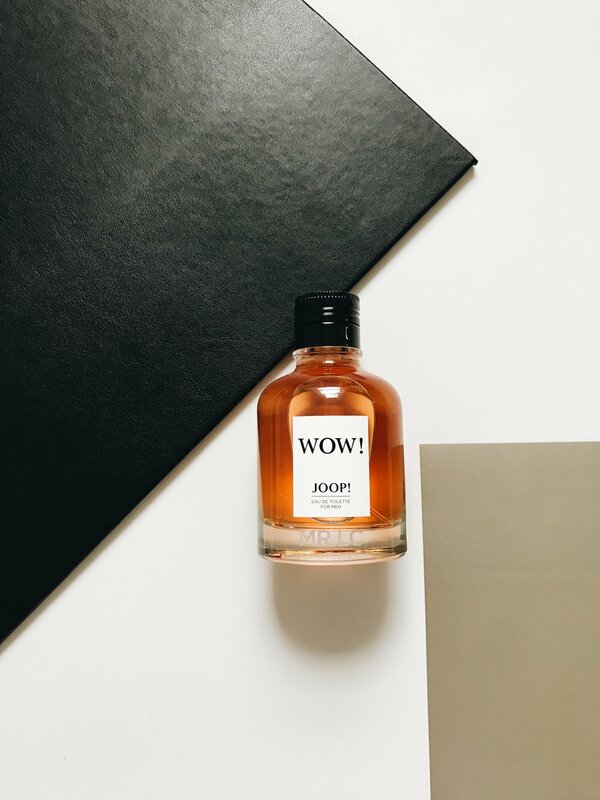 Earlier this year I had the pleasure of attending the Launch of JOOP - WOW! which you can read here for more details on the Event and the fragrance itself. I have included it in this Gift Guide as it is a personal favourite of mine! A loud projection with a sweet opening that takes a creamier direction throughout the dry-down. You can purchase WOW! here. I hope that my Father's Day Fragrance Gift Guide has helped and given you more of an idea of what fragrance to choose for your Father this coming Sunday! Do you have a favourite from this Gift Guide? If so, which one? Are there any that you have tried out yourself? What did you think? Let me know your thoughts below as I would love to hear from you, and don't forget to click that 'like' button! An e-vite from COTY came through to my inbox, and all that was stated was a date, time and that a fragrance launch would be taking place at a secret location, hidden away in London somewhere. 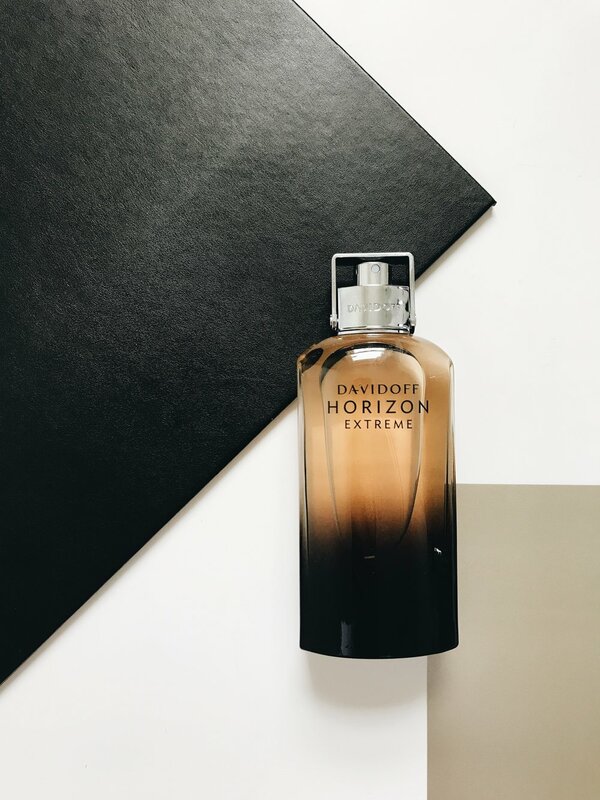 Now, immediately I was intrigued, and having gone to a fragrance launch organised by COTY before for the Davidoff; Horizon fragrance, I knew I was going to be in for a good time! I was chauffeur driven in a Mercedes to the location, and as I got into the car, I was greeted by a large box, an envelope, a miniature bottle of Moet (that didn't last long..), and an iPad playing the promotional movie of the fragrance! 'Welcome to the JOOP; WOW! Experience!' I was amazed at the presentation of the box, as when I opened it, inside was the bottle of the fragrance placed within a Jaguars head, and to top it off, the box lit up! As the journey came to an end, I arrived at the secret location which was in fact the 'Six Storeys' in Soho, before being taken up each floor, group by group, to go through the JOOP WOW! Experience in full. There were 4 floors in total, each of which gave an insight and more depth to the fragrance, and the story behind it. We were met by a fragrance expert; Will Andrews, and he took us through each of the different notes within the fragrance. I found with WOW! that it is very distinctive, and has a loud projection. 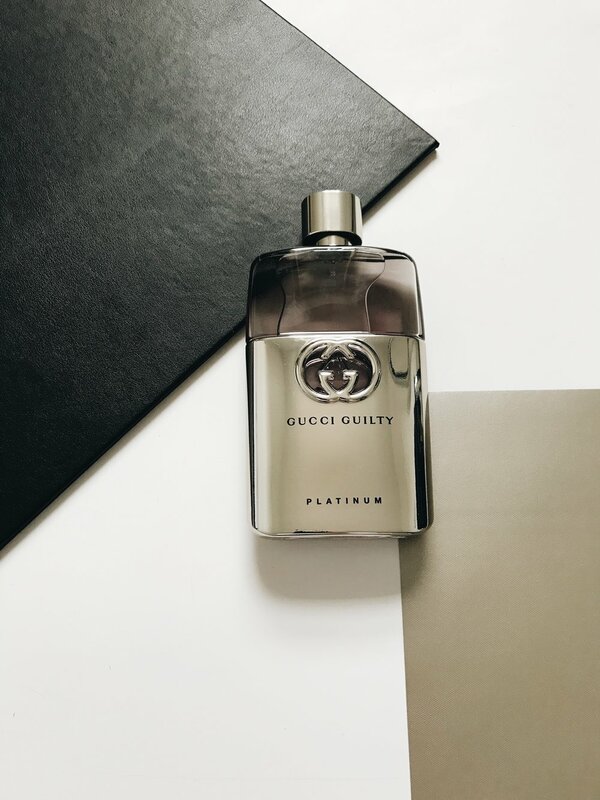 The initial spray is rather sweet with the citrus notes coming through, yet takes a more muskier, creamy direction with the earthy tones and the rich, strong notes at the heart of the fragrance. Perfect for this time of year! I am a big fan of strong fragrances, so this is definitely a new contender for me. I particularly like the simplicity of the bottle's design, and one that I found was a rather different direction for the brand! We were then asked to pick out some of our favourite notes within the scent, as if we were to create our own fragrance. I chose the Bergamot as my Top Note, Tonka Bean as my Middle Note, and the Vanilla as my Heart Note. Shortly afterwards, we made our way upstairs to the next floor for a lesson in 'Gin-Making'! Dominic Sebag-Montefiore, a tailor from Edward Sexton gave us a lesson on the history of the clothes and how the suits and tailoring have changed throughout the years. My personal favourite, was the jacket with the red tie as I felt that the tie looked really bold and strong against the crisp, white shirt. By the time we got to the fourth floor, I must admit that the gin that I had made, was starting to kick in.. Oops! We all got given the opportunity to personalise our fragrance bottle, so I chose to have 'MR.LC' engraved on mine, and I felt that it added a really personal touch, and it was a lovely way to finish the afternoon off! The whole event from start to finish was incredible! From the mysterious email, to the car journey, to the secret location, to the different activities on each floor, and to meeting new and familiar bloggers who I had only spoken to via social media! I just want to thank COTY for the invite, it was an amazing event and I had a great time! Joop WOW! launches on Wednesday 1st February and is available to purchase here. Will you be trying out WOW! by Joop? Have you tried any of the Joop fragrances before? If so, which is your favourite? Do let me know your comments down below, and don't forget to click that 'like' button!